Once in a while, in the right time and place, a dream band comes together. 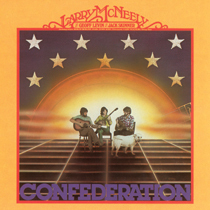 Such an event took place in 1977, when banjo player Larry McNeely called his friends Geoff Levin and Jack Skinner and told them they were going to make a bluegrass album for Sheffield Lab. At the time, Larry was the featured banjo player on Glen Campbell's television show. A technical note: This Sheffield release is mastered by Seth Winner, who has prepared the recent CD reissues of historic Sheffield direct-to-disc records. The presence and warmth of this recording are a testimony to Doug Sax's "single point" microphone technique and Seth Winner's faithful transfer from the analog disc originals.